Think you hit far? Get ready to prove it. 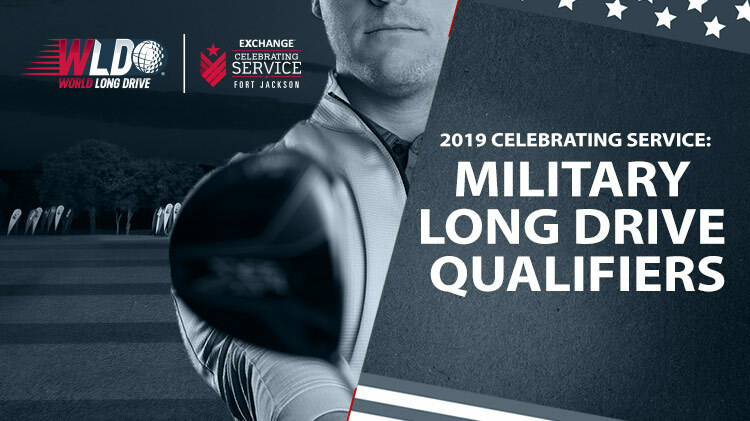 Winner will advance to Fort Jackson for a chance to win $10,000 and an invitation to the 2019 World Long Drive Championship. Open to Active Duty Service Members, Reserve, National / Coast Guard and Retired members of all branches at least 18 years old with valid ID. The contestant who hits the longest qualified drive during the MLDC in Fort Jackson, SC will win $10,000 cash and be granted exemption into the Volvik World Long Drive Championship (August 30-September 4). For more information, call Fort Sill Golf Course Pro Shop at +1 (580)442-5441. Entry fee is $25 which purchases the contestant one attempt of eight drives. Participants may purchase additional attempts until the event closes the event. To enter, complete the 2019 Long Drive Qualifier Entry Form and bring it to the Fort Sill Golf Course Pro Ship. For more information, call +1 (580)442-5441.